The Leinster U9 – U19 Inter Club Track Relays took place at the Enniscorthy Sports Hub last Sunday. This is the first time the facility has hosted a regional championship event. Athletics Wexford hopes that, once planned improvements have taken place at the Sports Hub, further high profile regional, and national, events will come to Enniscorthy. 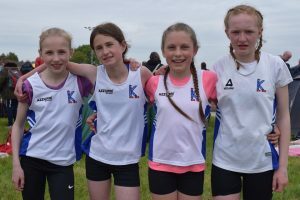 On a day when some of the top young sprinters in the province were present it was never going to be easy for Wexford clubs to make the podium. While gold proved elusive there were a number of silver and bronze medal performances. First precious metals of the day went to the Bree AC U10 Boys team of Jayden Kenny, PJ Breen, Shane Laffan, James Wall, Sam Deveraux and Billy Doyle. The boys, who had just one team in front of them at the finish line, were delighted to win Silver medals. There were also Silver medals for Bree’s U11 Girls team of Maura Doyle, Keira Wilson, Ciara Laffan, Chloe Casey, Léa Bolger and Ava Doyle. United Striders had a very strong team in U15 Boys. Darragh Flannelly, Aidan Shannon, Oisín Mac Eochaidh and Cosmo Hewlett worked really well together to take the Silver. The club’s U17 Boys team of Conor Murphy, Aaron Browne, Patrick Doyle and Adam O’Connor placed finished in the Bronze medal position. 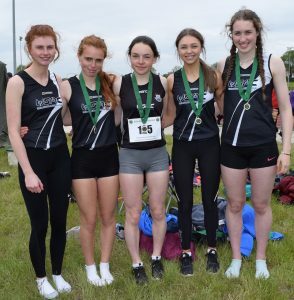 United Striders Junior Girls Relay team won Bronze medals, took themselves away for a short break, then came back and won a another set of Bronze medals U18. 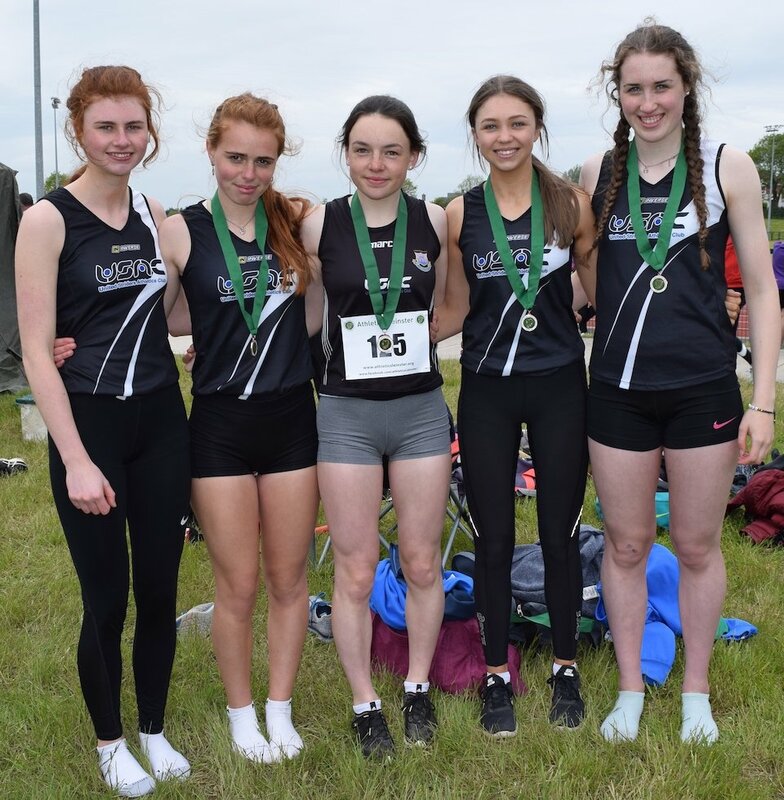 Well done to Aisling Power, Becca Bawden, Grace Costello, Alannah Byrne and Aoife Ní Eochaidh. 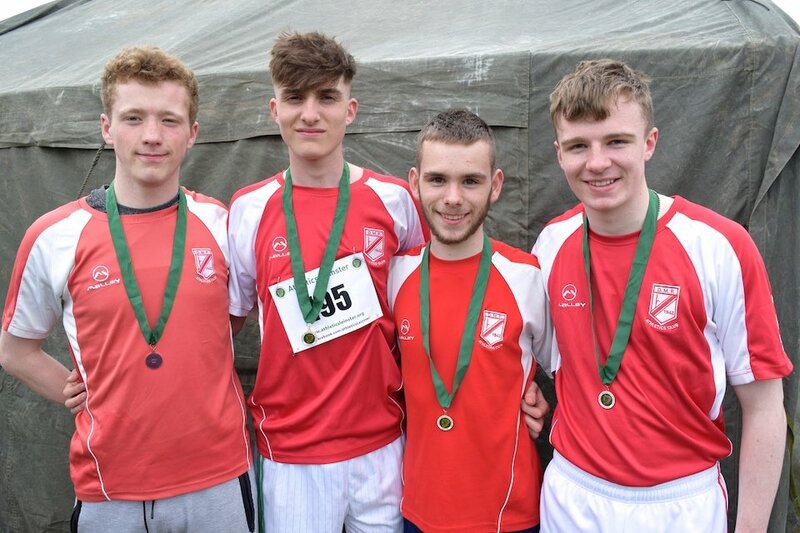 Finally there was Bronze for DMP’s Boys U18 Relay team of Conor Brennan, Paul Gately, Adam Kehoe and Adam Peilow. 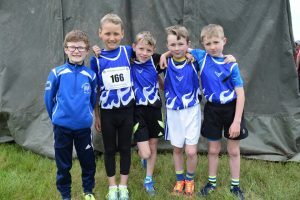 Tagged Leinster Juvenile Relays 2018, Leinster relays Enniscorthy, Leinster U9 - U19 Inter Club Track Relays 2018. Bookmark the permalink.